In just over two decades since its founding in 1989, SANY has grown to be listed among the world’s 500 most valuable companies. SANY America, a subsidiary of the SANY Group based in Peachtree City, Georgia has been in operation since 2012. 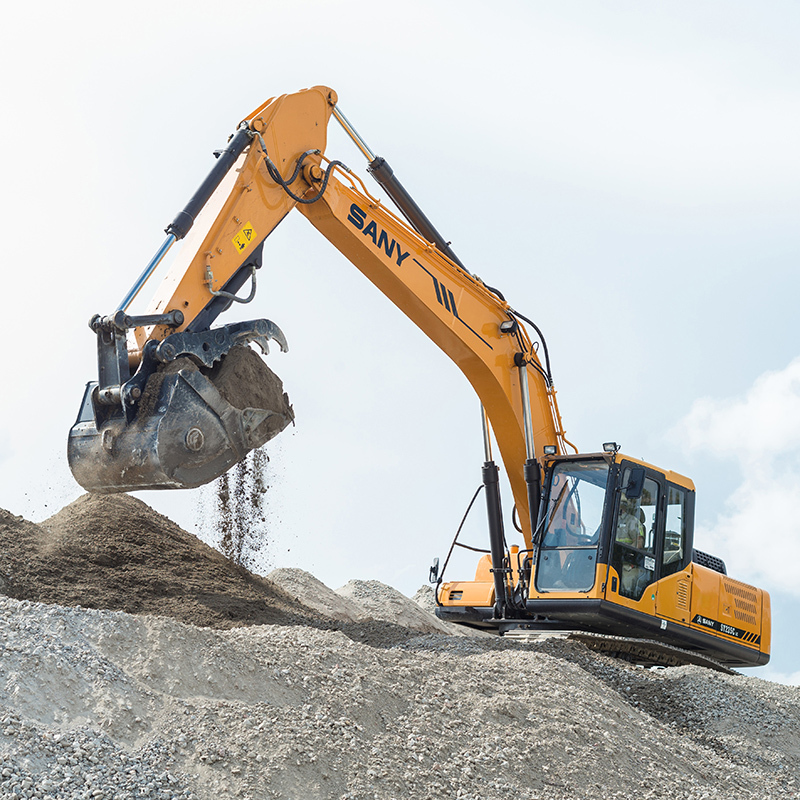 This local plant not only extends SANY’s presence throughout the western hemisphere, but turns a new page in SANY’s storied line of excavators by incorporating high quality materials and accessories valued in the North American market. SANY believes in developing and manufacturing quality machinery, industry-leading products. Each year, SANY Group re-invests 5-7% of its sales revenue into the R&D, making it possible to expand its product lines to concrete, road, port, hoisting, pile driving, excavating machinery and wind energy products. At May Heavy Equipment, we aim to offer our customers the widest range of high quality loading equipment, and as of late 2015, May Heavy Equipment is proud to offer SANY excavators to all of our valued customers in North Carolina. Like SANY, we are striving to help build a better world. 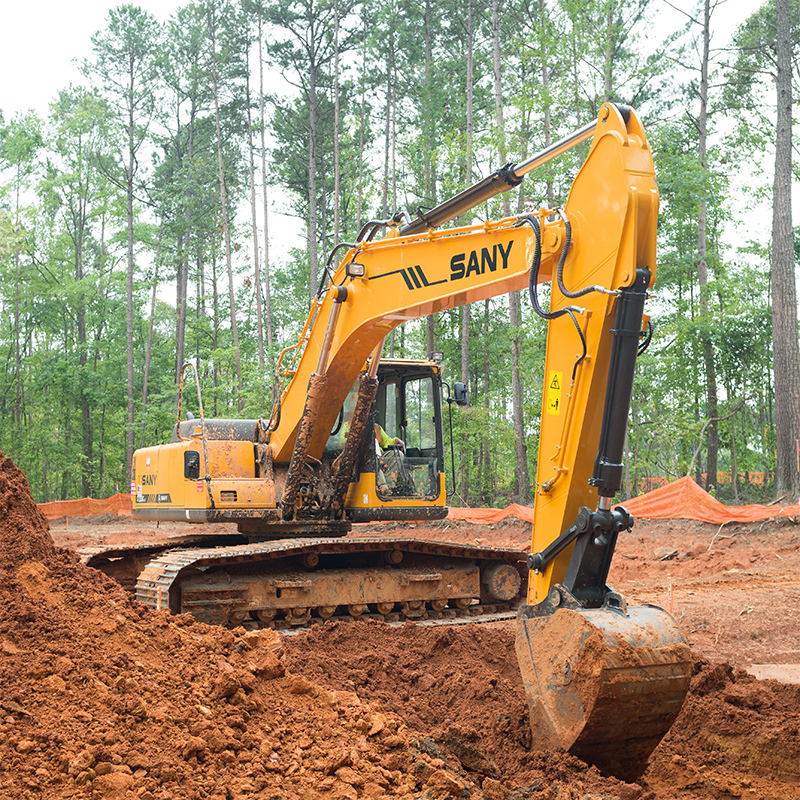 May Heavy Equipment is dedicated to offering our customers sales, rental and service of SANY’s line of excavators across North Carolina. SANY is the brand you can depend on. SANY excavators are professionally tested for higher reliability, improved operation and a design that makes operation / maintenance much easier. SANY machines haven proven to be a series of excavators that are built to last and very affordable. And May Heavy Equipment is the construction equipment dealer in North Carolina that carries SANY construction equipment. SANY’s excavator product line comprises of a full range of small, medium and large hydraulic crawler excavators for various industry applications. 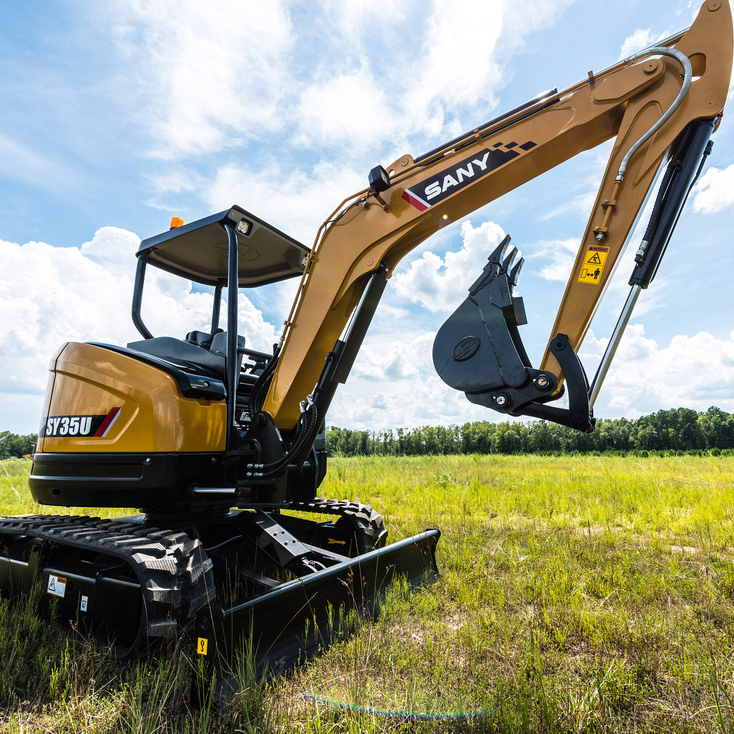 May Heavy Equipment’s new SANY excavators feature two way auxiliary hydraulics, machines that are plumbed for auxiliary hydraulics, have pattern-control change valves and full color monitor for machine functions. For more information about our selection of NC heavy equipment and excavators from SANY, contact us today. A May Heavy Equipment sales representative is available to speak to you about our SANY sales, rental, parts and service capabilities.